During the month of July we have brought to you a Knorr takeover, sharing eight recipes that are pretty simple to make, yet super delicious. I hope that you all have enjoyed this takeover and that if nothing else our recipes and ideas have inspired you to get into the kitchen and come up with some new and fun dishes yourself. Mexican food is some of the best food and with a product like Knorr you can give that traditional sabor to so many dishes. I'm not what you call a "traditional" cook, yet I like to bring the flavors from my heritage to whatever I make and that's why I love this product. We decided to close the month with a recipe inspired by one we found on the Knorr site for one of our favorites snacks, rolled tacos de pollo. These are made with some of that leftover chicken we always have in the fridge and don't know what to do with. Follow the recipe below to make your own easy Rolled Tacos de Pollo. Shred about two cups of chicken. In a large sized pan add 2 tablespoons of oil and allow to heat for a few minutes, add chicken and let it start to heat. Grab 1/4 cups hot water and 1 cube Knorr Caldo de Tomate Bouillon and stir to dissolve. Once the Knorr Caldo de Tomate Bouillon is dissolved pour into the pan and cook while stirring for about 5 minutes. The chicken is ready so now we will make the rolled tacos. Fill tortillas and roll putting them on a plate to the side to be ready for frying. Add the rest of the oil into same pan and allow to heat for about 2 minutes. Once oil is hot start frying the rolled tacos, turning steadily to avoid burning. To serve we like to chop up some quick onions, tomatoes and serrano chiles just for a quick salsa. Serve warm and top with sour cream, Mexican cheese and lettuce if you so please. Delicious and super flavorful! 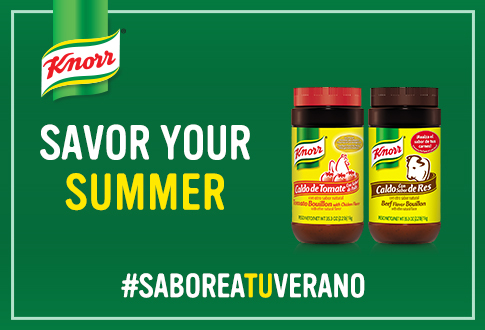 Knorr really is a star in the kitchen, giving everything great sabor. 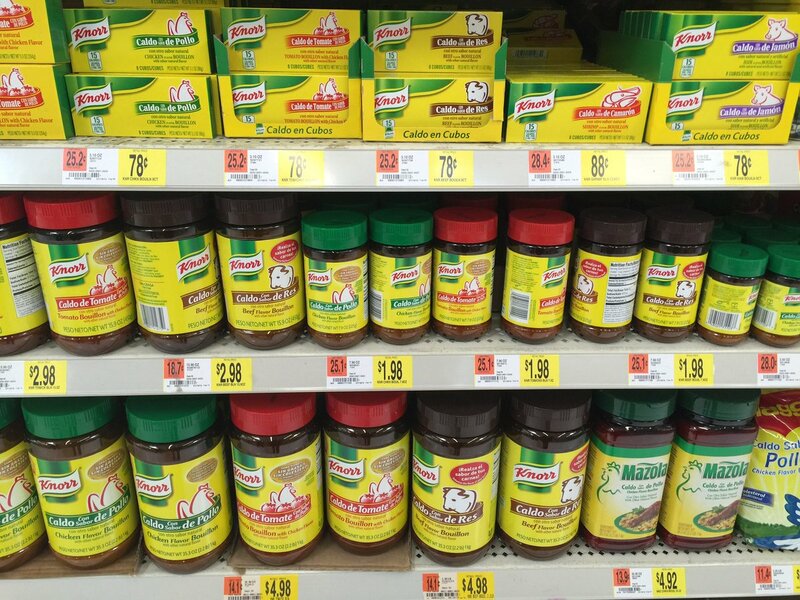 Find Knorr Caldo de Tomate Bouillon and the entire Knorr line at Walmart. For my family and I, food is life. This summer we've gotten together to enjoy good food, good drink and good moments and that is exactly what summer is about. How do you savor summer?